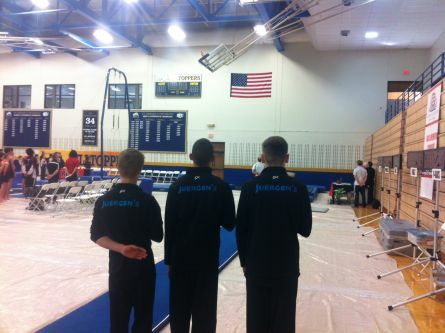 The Boys Gymnastics Team is a member of USA Gymnastics and competes locally and all across the Nation against other Gymnastics clubs. We have training for athletes from Level 4 – Elite and have had countless State, Regional, and National Champions as well as many College Scholarship recipients. This program is by invitation and tryout only. 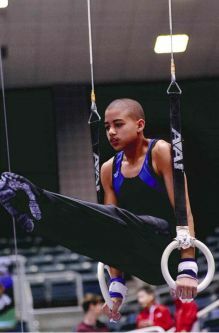 Competitive gymnastics can be a wonderful sport for children. It teaches discipline, physical fitness, and striving to be the best. It also helps children learn that the reward is in the training and in doing your best, not just in winning. Competitive gymnastics can be a good experience for children as it is an activity where they excel, feel good about themselves, while also developing their values and importance within the gym and everyday life. Just take one look at the walls lined with countless awards the team program has won over the years and you will know Juergen’s is the place for Competitive Gymnastics.